Buy a quality gun safe does not mean spending a fortune. While you can easily spend thousands on a safe it does not mean you have to. For those of us on a budget there are plenty of quality, top of the line safes available for far less. Let us show you four such safes, each of which provides the safety and security you need at a cost which will not break the bank. All of the products reviewed are available on Amazon for less than $1000. 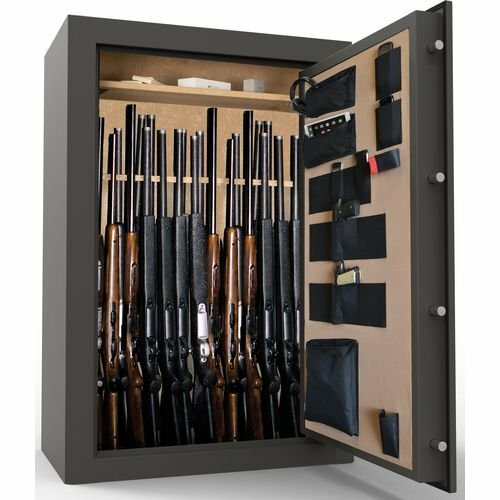 Each provides the ability to store both long guns and handguns and does so with the features you expect in a top of the line safe. 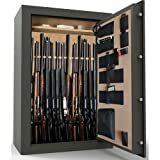 This traditional style cabinet safe offers storage for long gun storage, solid construction, electronic operating system and a high fire resistance for a fraction of the cost you would expect. At 59 inches tall you can easily store even the largest rifles, up to 14 depending on configuration. The adjustable shelving also allows for the storage of handguns or accessories. With a fire rating of 1750 degrees for up to 1 hour, an expanding door seal and 2 story impact testing each of your firearms will be protected against environmental incidents. 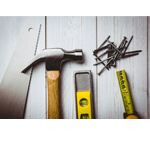 The twelve 1 ½” diameter solid steel dead bolts, 5 1/8” thick door, 1 ¾” thick body and four pre-drilled mounting holes ensure the safe is also protected from unwanted intruders. Built in electrical & USB plug for easy installation of accessories. Concealed emergency key operated back up for keypad. Pre-drilled mounting points difficult to access. 14 gun capacity is only for ling guns NOT equipped with scopes or magazines attached. Steelwater is a leader in high quality, reasonably priced safes and the H/D 20 is no exception. H/D stands for Heavy Duty and that is just what you get – with 4 ¾” steel construction, reinforced drill resistant door panel and 10 1” diameter solid steel locking bolts this safe is nothing if not tough. Looking for protection beyond theft? 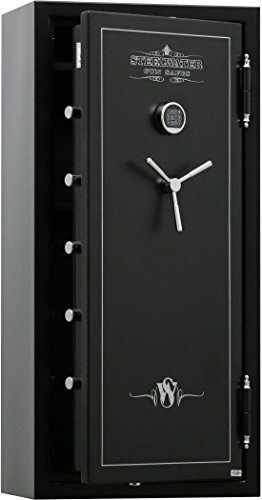 Thanks to 5/8” fireboard in walls, ceiling and floor (double that in door) this safe is fire rated for 45 minutes at 1550 degrees. The self-expanding door seal provides additional protection against smoke and water damage. Plus, the safe is also protected against electromagnetic pulse attack and the lock is protected against being punched or drilled. External battery for easy access when batteries need to be replaced. Pre-drilled for installation of dehumidifier. Protection from fire, theft, lock tampering and EMP. Electronic lock can be custom programmed. Safe is not waterproof unless heat seal is activated. Shelves must be removed to achieve 20 gun capacity, even then it will be tight. Customers have complained the electronic lock instructions can be difficult to understand. 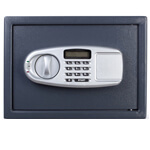 This is one of the largest capacity safes available, at a price less than many far smaller competitors. The installed rifle rack has a maximum capacity of 42 rifles and the door panels allow for additional storage of handguns, magazines and accessories. The all steel, fully welded construction and triple door seal provides protection against temperatures of up to 1200 degrees for 1 hour. The 12 gauge steel unibody, 4 ½” thick door and 13 1 ½” titanium locking bolts secure your firearms from even the most determined thief. The safe also comes equipped with an interior light, dehumidifier, electrical outlets, USB ports and Ethernet jack. Plus, everything is backed by a lifetime warranty that covers floods, fire and break-in attempts at zero cost to you. Heavy duty construction for protection against theft and natural disaster. Excellent UL fire protection rating. One of the best warranties on the market. Low battery life has been reported. Optional digital lock has been described as difficult to program.